They say – stock markets are always right. But, then, they’re equally weird as well! Don’t you agree? Let me give you a glaring example on this. In its Q3 performance, IT bellwether Infosys Technologies posted 14% jump in net profit to Rs.1780 crore. So, what was the stock reaction? It slumped from a high of Rs.3377 as on Jan 12 to sub-Rs. 3100 levels now. For a while, let me draw your attention to Suzlon Energy’s Q3 results – India’s largest wind turbine maker by sales reported a consolidated net loss of Rs.253 crore. Any guesses, what was the stock reaction? The stock price surged from Rs.48 as on Feb 4 to close above Rs.49 on Feb 8. So, what was market logic behind such illogical movement in stock prices of both the companies? Infosys doused market expectations with a flattish sequential performance on the back of weaker economic recovery in developed markets. But, what went into stability of Suzlon’s share price despite big losses? The company gave positive outlook for the global market for wind energy and significant higher visibility of volumes going forward. In a nutshell, it is always difficult to predict what markets are up to and hence trading markets is the toughest job, almost equal to calculated gambling. Rightly so, market gurus have always maintained that the real wealth creation takes place only in long-term investments; and not through trading ideologies. The above was just a round-up as to how markets react. Coming back to current market position, today Nifty almost capitulated to the lows of 5250, spreading panic amongst traders and investors. But, there is little to panic for long-term investors. They should rather take this opportunity to accumulate good stocks at every lower level. In fact, for the new investors waiting on the sidelines – there’s no better site than Nifty coming down by 1000 points in less than 3 months. Well, that’s about benchmark index. But, if you go outside the benchmark index, into the well-known mid-cap counters, the correction is as steep as 30-40% from their recent highs in stock prices. The stock price of IDFC had surged to Rs. 215 levels just few months. The latest bout of inflation-led market panic has dragged this stock to sub-Rs.130 levels. In December quarter performance, the company had posted a decent net profit of Rs.304 crore as compared to Rs.240 crore a year ago. Apart from infrastructure financing, the company is also involved in the asset management, investment banking and advisory businesses. Equity brokerages have imparted the sum-of-parts valuations of over Rs.200 for this company. Educomp still remains the most dynamic thematic investment story in India – being a well-planned business model involved in providing diversified education solutions including its pioneered digital initiative transforming the way teachers teach and students learn in schools. Currently, its stock price is way off from the peak levels of Rs.1000 per share. 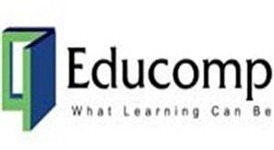 Educomp Solutions will announce its Q3 results on Feb 11. If you want to bet on unorganized Indian education industry on the bourses, this is the stock you can accumulate on every larger dips. By far, this quality infrastructure stock has been the biggest under – performer since mid-2010. During mid-July, this stock had made a high of Rs. 190 and is now down by 60% at Rs. 70 per share. In fact, almost all the infrastructure stocks have been beaten down out-of-shape over the last 3 months. 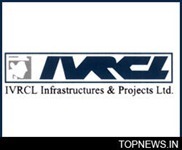 IVRCL infrastructure has order position of over Rs.230 billion, providing strong revenue visibility for at least next 3 years. The company’s order book mainly comprises of water projects to the extent of over 40% and the remaining being contributed by building and transportation segments. 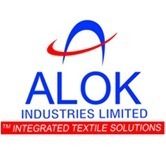 Alok Industries is a vertically-integrated leading textile manufacturing company with a robust business model and performance as compared to other textile players, on a consistent basis. The textile major has presence in 3 broad categories viz., Textile, Retail (H&A Stores) and Realty. The company is involved in distribution of textile products to the US super-market chains. But, the major concern for Alok has been its high Debt-Equity Ratio. However, most of the company’s interest liabilities for its long-term debt are subsidized under the textile promotion scheme. Yes, this capital goods company is back on my wish-list with the current market fall. L&T has corrected by a whopping 30% as against benchmark loss of 15%. It’s quite an under-performance looking at the way the stock has corrected in the year 2011 alone. Recently, this stock was in the news for hiving-off nine companies from itself, which has not gone down too well with the markets. With this slump in valuation, the company is now quoting at a PE multiple of close to 20. Investors can start accumulating this long-term growth story on every dip from here on. This company, which is involved in various diverse businesses ranging from retailing to oil refining, has corrected from the highs of Rs.1150 to Rs.900, keeping pace with market fall. Long-term investors can look at accumulate the stock with oil prices back on the upward curve. The company was in the news in year 2010, for acquiring sizeable stakes in the non-conventional shale gas opportunities in the US. Reliance is known for its vision and taking actions well in advance before other players set their eye on the similar business models. 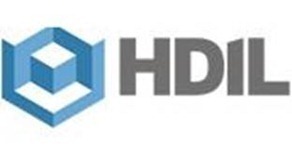 My prime pick in the beaten-down real estate sector is HDIL which is India’s largest developer of slum rehabilitation projects. The company has already developed 4.31 million square feet of rehabilitation housing area, under slum rehabilitation schemes. The stock has corrected sharply from Rs. 300 in August 2010 to sub-Rs.140 levels on the back of pressures from rising interest rate scenario. Contrary to analyst recommendations on business-news channels, there is nothing wrong in investing a small amount in real estate stocks at current beaten down valuations. Bartronics India is in the business of Automatic Identification & Data Capture technologies. Just imagine for yourself the retail boom that India has set on pace with; which would fuel the need for such sophisticated technologies that goes into product bar coding and smart card manufacturing. From the stock perspective, the prices have corrected sharply from Rs.150 levels in July 2010 to sub-Rs.70 levels now. The stock had made a high of about Rs.250 during the peak of the bull run before the 2008-crash. State-owned ONGC has corrected from the highs of Rs. 1400 to Rs. 1150, before the stock went into split and bonus adjustment yesterday. The stock had surged few months back on the back of partial fuel price deregulation announced by the government in 2010. However, with global crude prices making new highs, the PSU oil major gave up most of the gains, as the Indian crude basket is subsidized by the joint-efforts of the government, OMCs and ONGC. Investors looking for safe and low-beta stock can take a call on this stock. Telecom sector has been an under-dog since last many years now. Numero-uno Bharti Airtel is a top pick amongst the sector. The stock valuation is quoting at a substantial premium to its competitor Reliance Communications. Reason: Airtel is no longer reliant on Indian telecom market alone to drive its future growth. It is into under-penetrated African markets as well. The stock price of Airtel is quoting around Rs. 333 and the downside has remained capped at Rs.3 00 zone since quite a while now. For the uninitiated, investors can take a dip into this stock at current levels and more once the stock reaches around Rs.2 60 levels, if at all it corrects further from here. Note: You can also read my earlier article on Top 8 Stocks Picks for 2011. Further, if you compare the list churned out a couple of months back with the one in this article, you’ll realize that there were only 2 large – cap stocks then. However, in the current list, there are 4 large-cap stocks – RIL, ONGC, Airtel and L&T. The fact that the markets have corrected sharply since I provided my earlier list, have prompted the above large-cap stocks to correct to more reasonable levels now than before. For example, Indian benchmark indices have corrected 15% but L&T has slumped 30%, rendering the stock price much more lucrative now. So, are you ready to take a dip into markets now? Or do you still feel that investing now could provide more burns in near future? Disclaimer: The above content / report is only for the educational purpose of the readers. It does not qualify as any type of advice or recommendation to Buy/Sell securities. The author and the blog are not responsible for the reader’s decisions based on the above report and news within. App Bazar – World’s first India-centric Android app store coming up! Target Students – DRDO’s new strategy! nice t know your top 10 picks and very well research and guide regarding stocks, this is awesome article post. Also add City Union Bank to the above list!!! Thanks Viral for your help . 2. If you feel that it is right to sell these stocks, then , which one should i go for it? You can hold on to following stocks: RPower, HDIL, Varun Shipping, Hotel Leela & HCC from your list of stocks. Also, you can further average RPower & HDIL if they correct by at least 10-15% from current prices. At this juncture, post-budget, I would prefer to bet on Infrastructure stocks for next 1yr. Infra stocks have not only been beaten down to ground but also the budget is positive for the infra companies. 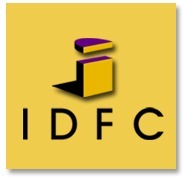 Having spoken about Infra companies, the view also applies to infrastructure finance company – IDFC. My top picks from Infra companies would be IVRCL Infra, HCC, Patel Engineering & Reliance Infrastructure. I fully agree with you that Viral is the most authoritative person on stocks. Well, Viral is beinghumble when he says there are others too. Or atleast those others are not so vocal in spreading their experiances with trak readers. In every stock market related comment, I suggest that Viral write more on stocks which will be benificial to trak readers. I would also like to share my view here regarding your comment on commodity shares where u mentioned that they are not attractive sue to higher input costs. So from this view the rise in input costs is a positive new for basic commodity companies like Guj NRE Coke, Sesa Goa which mine the raw materials. The intermediate commodities like Tata Steel etc will depend on raw materials so for them the rise in input costs means negetive news. The point is recently all comodity prices have gone up. Coal prices have gone up from 45 dollars per ton last yr to 90 dollars now. Coking coal has gone up from 175 to more than 300 now. Every where commodities are getting scarse. Every day u read news about Indian and Chinese companioes bidding for mines around the world. This yr due to floods in Australia, coal supplies are disturbed. (Australia accounts for more than 50% world exports) and their eports have come to a standstill. This means Indian steel plants have to pay more for Coking coal (300 or more against 175 last yr). As the % weightage of coking coal in steel plant is more than 25% the profits will be effected unless they pass thesame onto customers. Same with Aluminium. Our minister Ramesh has stalled many bauzite mining projects on environmental grounds (I am not debating the ethics here) due to which many Aluminium plants will suffer. Same with Copper. In fact copper si the biggest gainer in one yr. So I feel this decade belongs to commofdities. Companies with mines (both ocal andinternational) like Gujarat NRE Coke, Coal India, Sesa Goa, Adani, Jinddals will outperform others. Thanks for $2 Million! (your replies are always valuable- never 2 paisa). Yep, commodities are always depleting resulting in their prices moving up. However due to my lack of any understanding in this area, I just stay away from them or take a very small position. 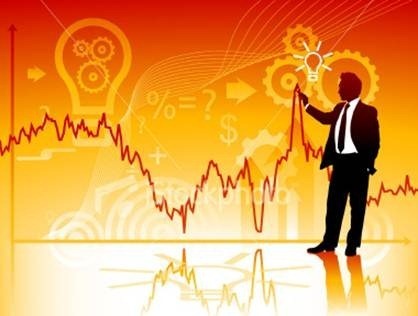 Thanks for the list – you are probably the most knowledgable on Trak regarding the capital markets. I would want to pile up on Educomp at this level but fully invested of which the my position in Educomp is down 40% ! I am so far a believer in this company – so let’s see how this goes in the results tomorrow and going forward. Taking fresh position in finance companies could be challenging due to higher interest rate regime and same for commodity based companies due to higher input costs. If I were to see more posts from you on investing, I would probably read and comment more on Trak. Keep it up mate. Coming to Educomp, I do remember you discussing about Educomp last time too. Even I have bought the stock at Rs.500 in small quantity and now averaged by buying some more at Rs.410. Now, if the stock goes to sub-Rs.350 levels, I shall again buy some more. So, that’s how averaging could be done – accumulating at larger dips, rather than going for outright buying at any particular levels. You seem to be sounding apprehensive on finance stocks. But, interest rates going up is only a cyclical phenomenon. And, if at such times, good stocks come down, it could be a nice opportunity to accumulate shining stocks from the sector. Of course, it is better buying into such cyclical stocks than buying those stocks mired by big losses. Real-estate situation is a bit shaky in India, at this juncture. High interest rates are taking a toll on the demand scenario. Analysts expect Mumbai mortgage rates to drop by 15-20% in coming times. But, all this will always be discounted by realty stocks way before the actual slowdown in the sector emerges to the fore. So, the chances are that prices of real brick and mortar will fall more steeply from here than realty stock prices. Well, that sounds a bit contrarion, isn’t it? You are right on both counts – about timing finance and real estate stocks when others are beating them up. It takes time and effort to analyze stocks individually, as always, to really understand the reason for which their stock prices are beat up. So, yes, it is still a good strategy for a good long-term return. The list can act as a solid ground on which one could start their research. There is no doubt that investors can also look forward to GAIL, as gas viability as a fuel gains more currency in the country now. Yes, this state-owned company has corrected in line with market coming down – i.e., only to the extent of 15% from the highs if Rs.520. whereas other companies have corrected a minimum of 25-30% during last 3 months. What tools do you use to see % down etc? Any pointers? Above, I have compared GAIL from its recent high of Rs.528.80 recorded on January 05, 2011. From those levels, the stock is now down to Rs.440-450. Its a 15% correction from January peaks. I compared it with Nifty levels. Nifty also corrected around 17% from highs of 6300 to 5200. So, GAIL has virtually been an out-performer in the downslide. So, what could be termed as under-performer? L&T has corrected around 32% as against Nifty’s 17% meltdown from highs. Basically, I have just compared beta-levels of the stock over the last 36 months in the above comment. I hope I have addressed your query. Correction in last line: Its beta-levels over last 3 months. (not 36 months). the performance of gail depends upon govt. sleep! Most of them are out-performers until now, except a few stocks. But, its a list of some really good fundamental stocks. thanx for your appreciation viral! & “sector shift” also take place, remember real estate is the performer of last bull market & i think in this leg of long term cyclical bull market ,the real estate at the tail end.